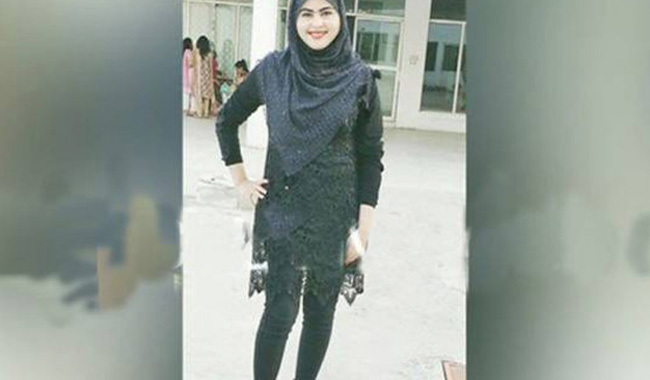 The Supreme Court of Pakistan on Tuesday took suo motu notice of the murder of Asma Rani, a third-year medical student who was shot dead in Kohat allegedly for refusing a marriage proposal. Chief Justice of Pakistan Mian Saqib Nisar has ordered that a report on the case be submitted to the court in the next 24 hours. “We heard tales that the Khyber Pakhtunkhwa Police has become a lot better; what is the force doing after this girl was murdered in Kohat?” the chief justice asked, adding that there seems to be no mechanism set for the investigation. Last week, the prime accused in the case, Mujahid Afridi, and his accomplice, Sadiqullah, reportedly opened fire at Asma who had been visiting her family in Kohat during a session break. Mujahid and Sadiqullah had fled the crime scene soon after.